The Leather Scent is formulated with unique water-based fragrances to smell just like the true scent of fresh new leather. Keep your car smelling like brand new leather. The Leather Scent Premium Air Freshener & Odor Eliminator is a concentrated long lasting premium air freshener with natural enzymatic odor elimination properties to eliminate odor and reduce recurring odor. This means you’re not masking odors but killing them at their source. 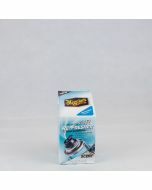 Use sparingly or dilute accordingly for superior air scents, and long lasting deodorizing ability. 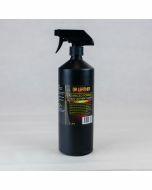 The Leather Air Freshener & Odor Eliminator is a concentrated long lasting premium air freshener with natural enzymatic odor elimination properties to eliminate odor and reduce recurring odor. Use sparingly or dilute accordingly for superior air scents, and long lasting deodorizing ability.